Ever since having kids (15 years ago) I’ve joked that “Every mom with a camera thinks she’s a photographer.” I can’t even count how many moms I have known over the years that started a side business of photography. Now that nice cameras have become more affordable, many people are opting to do their own photos. I’m a big advocate for hiring professionals to do professional jobs, and it comes to photographing products for your e-commerce website, that is not an exception. If you want the best photos, hire a professional photographer. 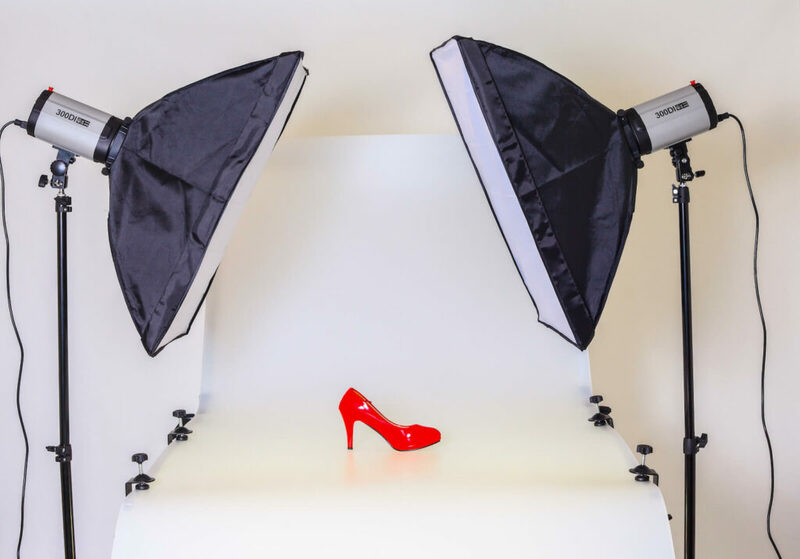 However, if you can’t afford that or really want to do it on your own, here are some tips that will help you get the best photos for your products. Having a good quality camera with a good lens is one of the most important parts of taking great product photos. Photo lighting is one of the easiest ways to tell the difference between a professional photo and a DIY photo. You will almost never get good quality photos inside without proper lighting. Avoid flash photography, because it can leave your products washed out and add shadows. A professional lighting kit can cost in the hundreds of dollars. This Elinchrom Lighting Kit is almost $800 on Amazon, but it’ll do a better job than your desk lamp. If you can’t afford a professional lighting kit for your photos, then you’re going to need to switch to natural light, which means going outside or right next to a window. You can’t always depend on the outside light to work great and you can’t control Mother Nature. A lot of photographers will tell you that cloudy days are great for outdoor photos, but most of the time an overcast day will remove contrast from your photos. Avoid shooting your photos in the middle of the day, when the sun is harshest. Your best bet is late afternoon. The background of your photos is almost as important as the photo itself. Things we don’t want to see in the background? Your carpet, your bed, your walls, or your pets. Or you, for that matter. If you want your product photos to look professional, you need to plan where to take your photos so that your photos look awesome. For many products, that means a single product on a blank white slate. The best option for this is to take a continuous roll of white paper, clip it up high and let it roll out onto a flat surface, placing your product right after the curve. Avoid creases in your paper. Some products look better in action shots. For example, if you’re selling a tent, you may want to have a shot of that tent in action in the woods rather than on a white background. Or, if you really want to go above and beyond, have both photos available for your buyers to see. Seriously, use a tripod. They aren’t expensive and they allow you to position your camera in exactly the right spot and keep it there for multiple photos. An obvious sign of an amateur photographer is having each product photo in your store taken from a different angle. Guess what? Your photos aren’t done when you turn off the camera. You need to edit them! Here’s a good guide to getting started on editing your product photos. 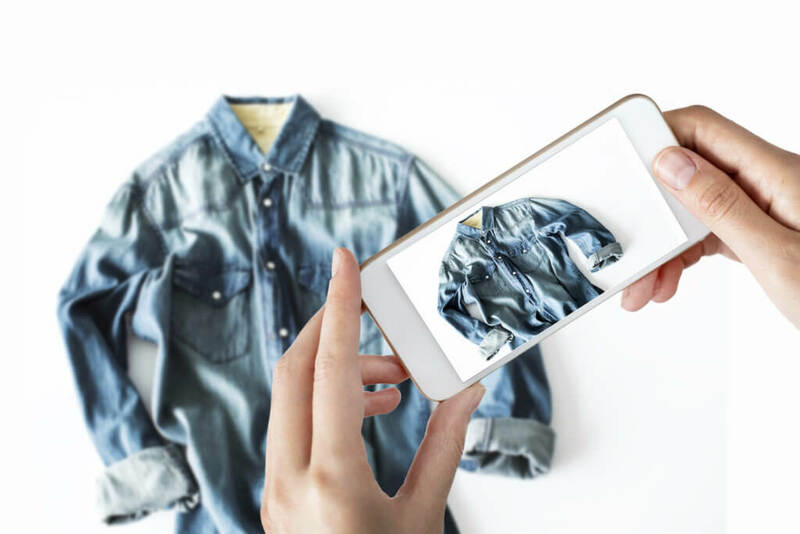 The way you present your photos to your online shoppers is key in turning those visitors into buyers. Not only does it show your products in the best light, but it builds credibility of your business and online store. Having amateur photos can discredit your company and your product and have a serious impact on your sales. Trust me on this, if you’re selling products online, then invest in getting good photos – either by hiring a photographer or buying the right equipment and learning the right techniques to DIY and do it well.